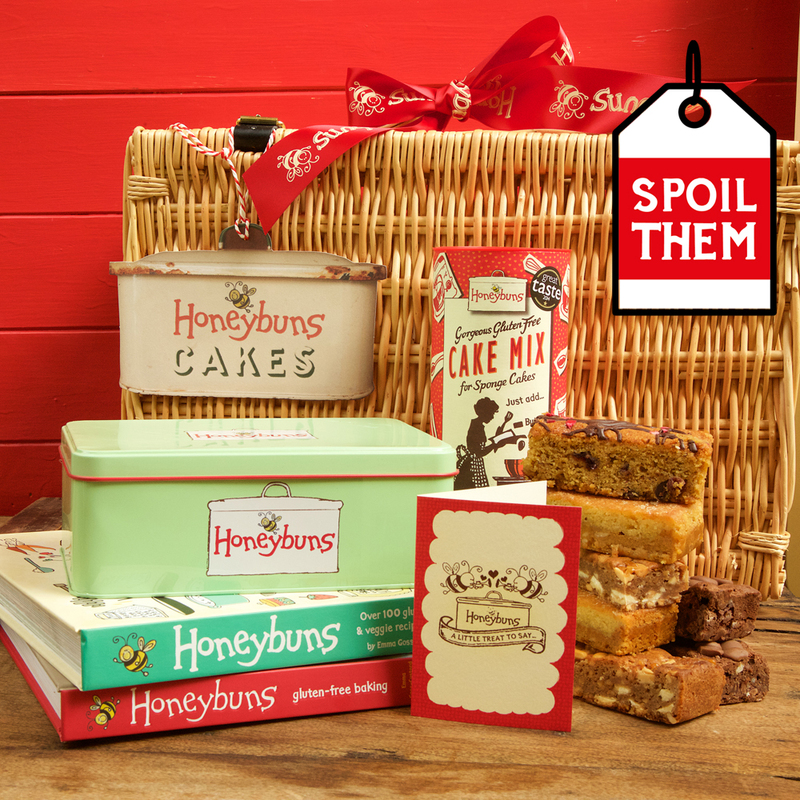 This gorgeous deluxe wicker hamper is filled with a delightful collection of our favourite cakes in a Honeybuns gift tin, a gluten free Sponge Cake Mix, and copies of our two gluten free baking books including the new 'Honeybuns All Day Cook Book'. Made in Somerset, this 16" hand-woven wicker hamper has a strong handle and real leather straps and hinges. Comes with cream shredded paper fill (FSC approved source, biodegradable and recyclable), red Honeybuns ribbon bow tied on the handle, and a Honeybuns card. Add your own gift message and gift stamp at the checkout.